Avery has been absolutely loving going through the pages of Let’s Make Some Great Art. Marion Deuchars’ intriguing prompts and ideas are inspired by twelve renowned artists—Jackson Pollock and Alexander Calder, to name a couple. The projects in the book, originally designed for her own sons, explore what art is, its many types and ways, and what it means to people. Take a look at of some of the fantastic page spreads in the book here. 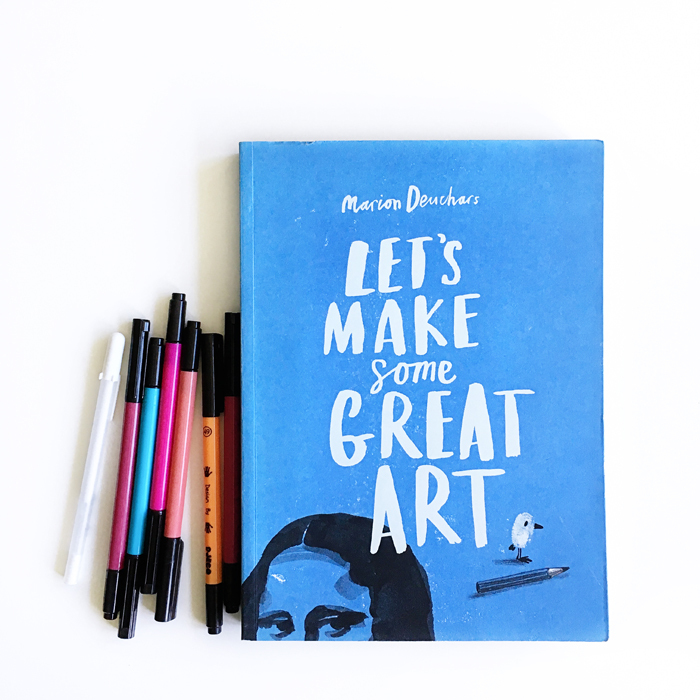 Let’s Make Some Great Art was written and illustrated by Marion Deuchars and published by Laurence King.